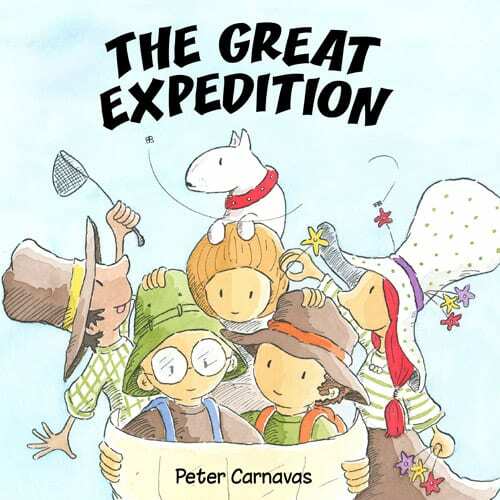 The first time I ever spied a Peter Carnavas book was in a box of books I was judging for the Queensland Premier’s Literary Awards (now the Qld Literary Awards). 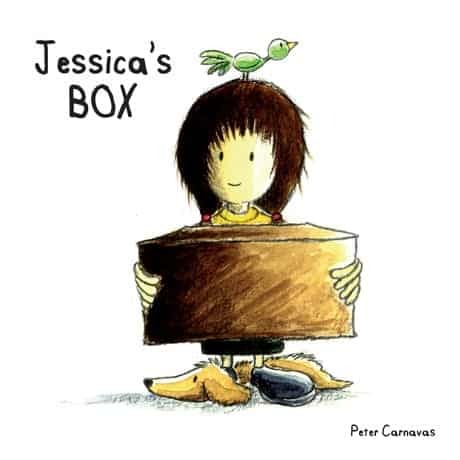 It was ‘Jessica’s Box’…which I adored. 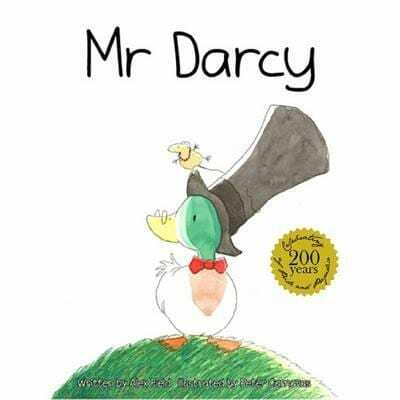 It is still one of PudStar’s favourite books several years down the track and I often hear Dan (aka Chief Bedtime Reader) reading it to her. The iPhone snap below is how I found Pud one night. 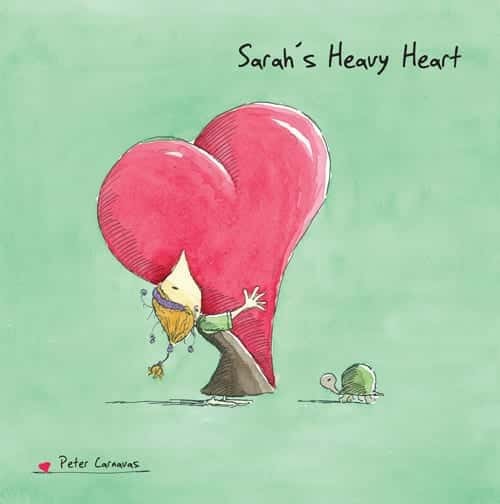 Anyone who can write and illustrate a book that is cuddled instead of a bear at night must indeed be destined to have a long and happy career in the world of children’s literature! His latest book is ‘The Boy on the Page’, which you can read about here. 1. Tell us about one of your latest books. 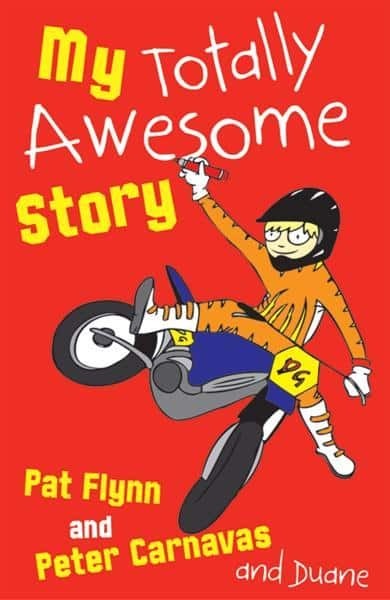 ‘My Totally Awesome Story’ is about a footy-loving, motorbike-riding prankster who learns to write the most totally awesome story ever, despite his reluctance to put a pen or pencil anywhere near a piece of paper. Pat Flynn wrote the story and I illustrated with my left hand, to make it look like Duane had drawn the pictures. 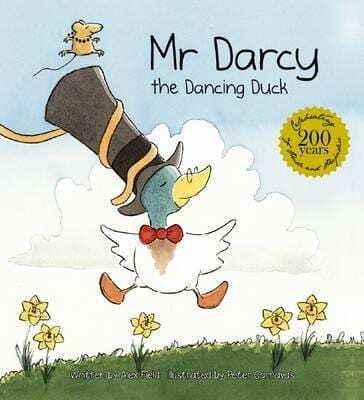 I have also illustrated ‘Mr Darcy the Dancing Duck’, by Alex Field, and another story of my own, ‘The Boy on the Page’. 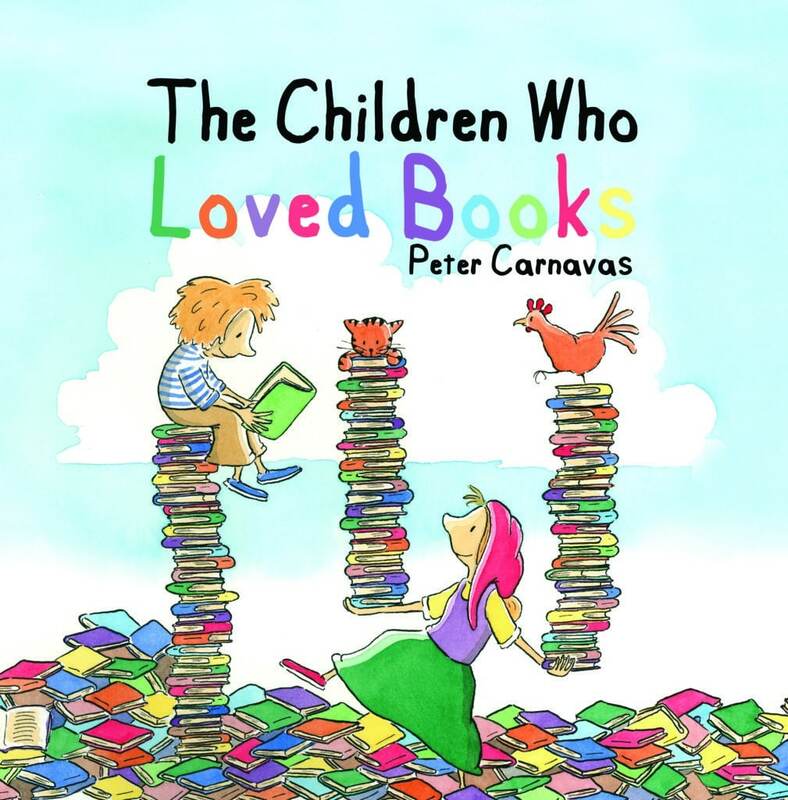 I was a primary school teacher for a while and really became interested in picture books when I taught lower primary grades at Clermont State School. I used to look forward to our library visits more than the kids sometimes. 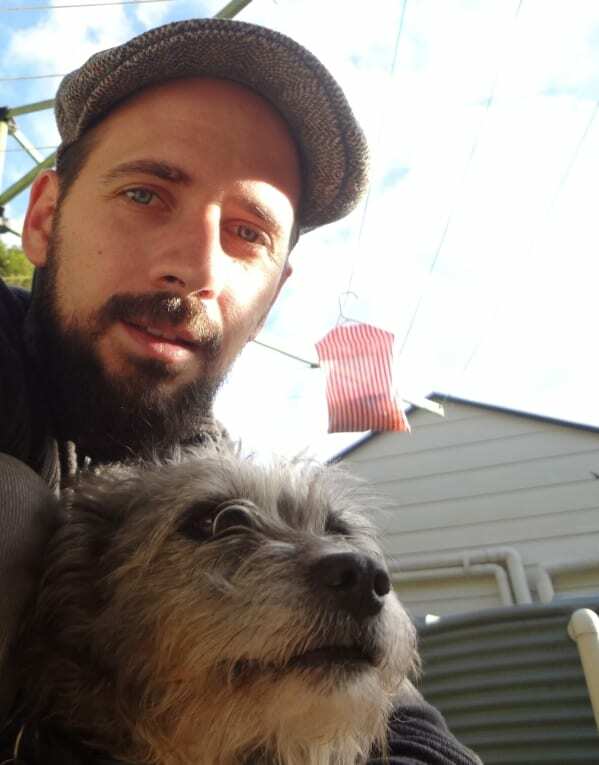 I had always drawn cartoony pictures and written short stories as a hobby and picture books suddenly made sense as something I might be able to do. 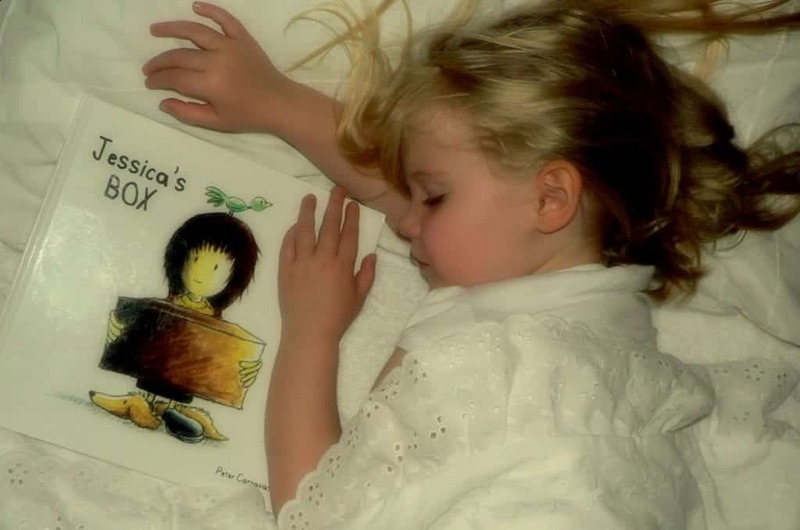 I spent a year burying myself in picture books and completing a picture book course. Then I finally stapled together a dummy of my book, ‘Jessica’s Box’, and sent if off to New Frontier, and they liked it! Stumble out of bed, make porridge and take the girls to school. Then I spend those school hours in my garage-turned-study scribbling storyboards and drawing pictures. I break up the day with lunch and washing up, then pick up the girls. My wife and I then do all the busy parent stuff until I collapse in bed. I often think of stories and characters just before I fall asleep. We have a little single garage that is separate from the house, a few steps away, and I’ve turned this into my study. I have a desk with the non-creative stuff piled on it, paperwork and so on. 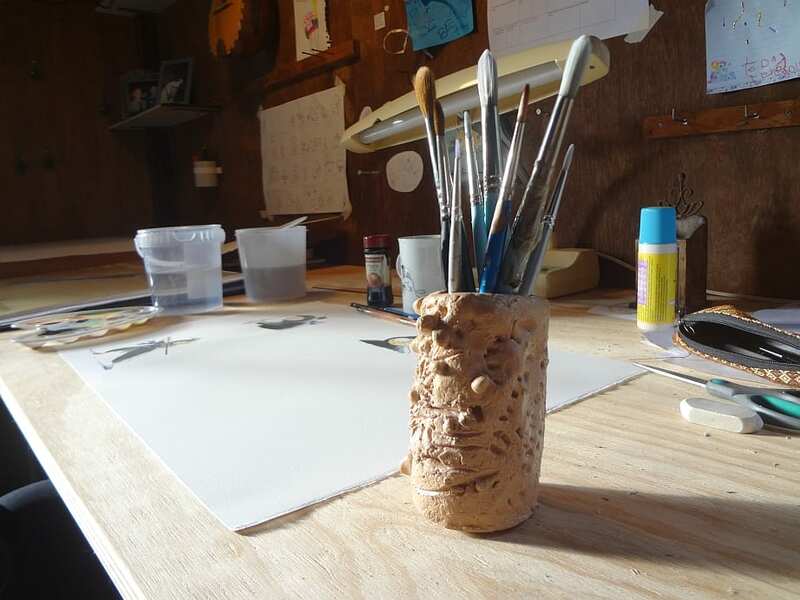 Then I have a very long wooden benchtop with the fun stuff all over it: my lightbox, sketchbooks of various sizes, pencils, paintbrushes, paints, lamps. The walls are covered with little sketches, storyboards I’m working from, an old mandolin, a cheap ukulele, photos and an old radio. I love it. Having the study separate from the house gives me a greater sense of “going to work” every day. Reading and writing is a wonderful hobby and it becomes even better when you find like-minded people to talk to about books. Seek out other readers in your class and school, kids and grown-ups, and talk about your favourite books. It’s a lot of fun and a great way to find out about new books and authors. Just one? ‘Amy and Louis’ by Libby Gleeson and Freya Blackwood has always been a favourite picture book of mine. 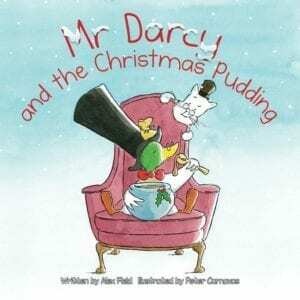 I love Emily Gravett’s books, Nick Bland’s books, and ‘Penguin’ by Polly Dunbar. Like a lot of people, I grew up longing to be in Roald Dahl’s stories – scooped up by the BFG or hunting pheasants with Danny. I’d be trying to do it still. Otherwise, I’d do something very close – most probably working in a library or bookshop. I’ll munch on anything as I’m working but I usually depend on cups of tea more than anything. 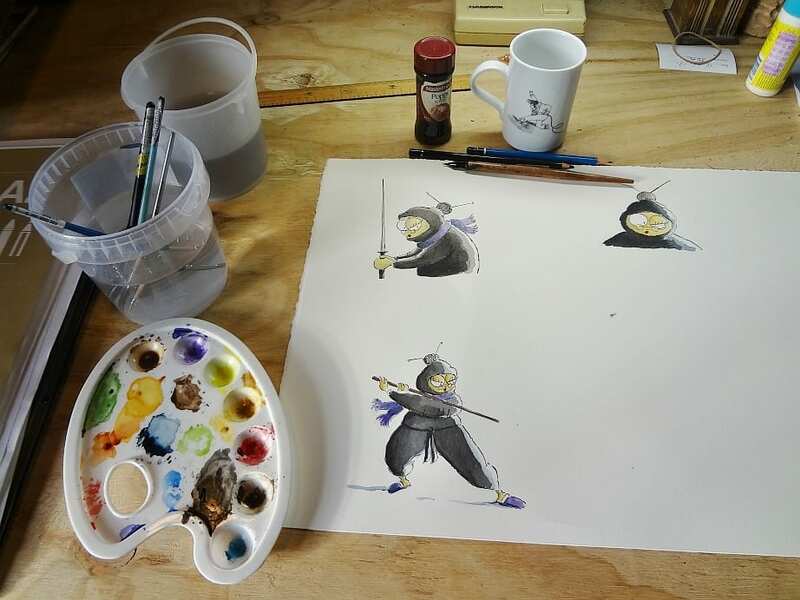 Music is a huge part of my life and I always have music playing while I work (but only when I’m drawing, not when I’m writing – it interferes with the words I’m trying to form in my head). Sometimes I just listen to the radio but usually I put on something from my own collection – something old and sunshiny like The Beach Boys, something really old and smooth like Ella Fitzgerald or something new (at the moment it’s a band called The Bowerbirds). There is more of myself than I initially realise. 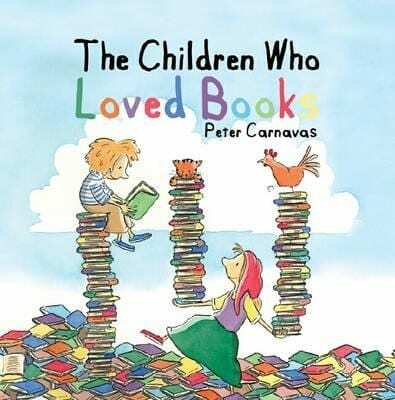 The family from ‘The Children Who Loved Books’ is similar in several ways to my own family. 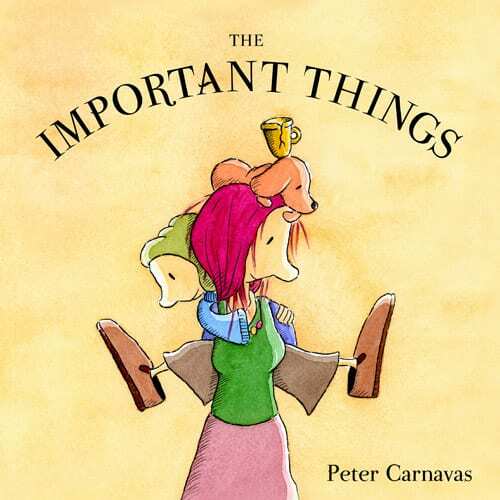 Lots of my little odd bits and pieces turned up in ‘The Important Things’ (instruments, slippers, my wife). I guess it’s a part of the process. Writers often write about themselves in some way, so I suppose illustrators draw themselves into the pictures as well. Books by Peter Carnavas are below and they can be purchased by clicking on the covers. This is great but totally freaked me out! 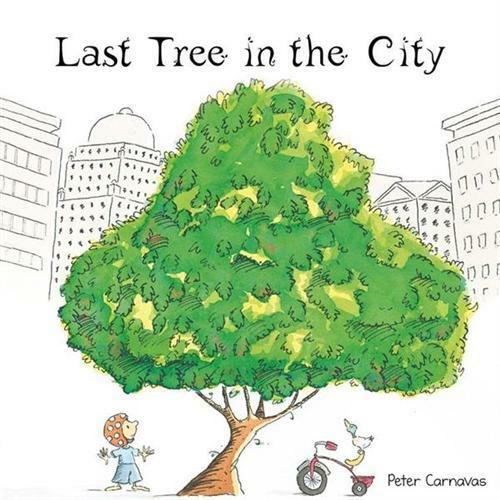 Peter is a mate, we worked together in a school for a few years and his books are some of my kids’ favourites also. The part that freaked me out is the photo! I saw it Google Images and I was absolutely certain that it was a picture of my own daughter! Certain! The resemblance is just unreal!